Next > Hey, It’s Tomorrow! I notice that Emma doesn’t really get a lot of love these days. I really love that novel, and I actually love Emma herself. Yes, she’s manipulative and a total snob, but she’s never dull! I love Emma too! Both the book and the character. She’s writing at the height of her powers here, with such a flawness expression of her particular genius that there is not a word out of place. I always think if EMMA was a garment, you could not find a seam. Perhaps this perfection itself can be a bit intimidating. On Persuasion (which I have to suspect she might have revised a bit more if she’d lived longer), though it’s also an amazing work, you can see the thumbprints a little. But I would tell people to read it last not because it’s the least good, but because it is the most subtle. 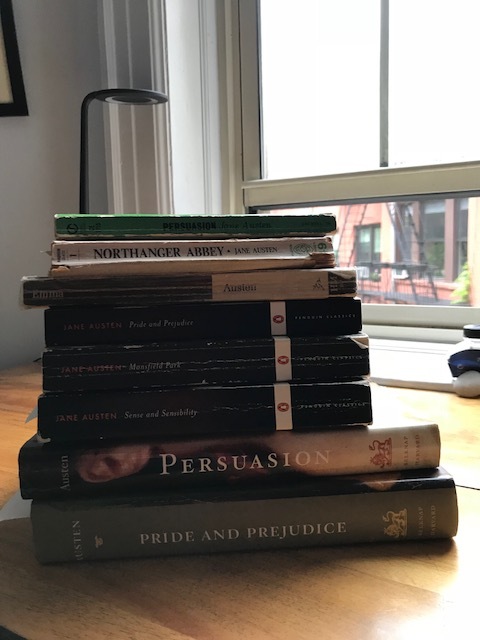 A good understanding of what Austen is up to makes the reader appreciate the full genius of Emma — not just a funny story about a small-town snob prone to self-deception (which it is) but also a meditation on the nature of fiction itself. Let’s spread the love for Emma!